Dan Norris is a highly effective leadership development facilitator, mentor and coach. He is responsible for directing Holt Cat’s internal values based leadership and training initiatives and shares his expertise with HDSI’s clients. 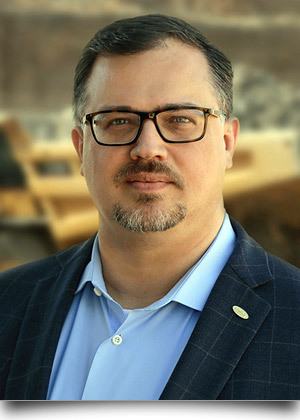 Dan has been with Holt Caterpillar for 15 years and currently holds the position of Director of Holt Development Services. His effective presentation style weaves behavioral insights, academic research and personal experience in ways which create impactful learning experiences. Dan has worked with a wide variety of clients and industries for more than a decade. His contributions have contributed to significant increases in organizational performance, customer and employee satisfaction, revenue and bottom line profitability for our clients. Dan also holds the CMCT designation, a specialization in the psychology of ethical persuasion, earned from Dr. Robert Cialdini, the leading authority on the subject. Less than 20 people worldwide are certified in this specialized field. Dan helps organizations learn and apply the latest scientific research in ethical influencing to their organizational leadership and customer service environments. His philosophy focuses on employee development: Investing in tools, training, coaching, and assessments that have been shown to positively change behavior.